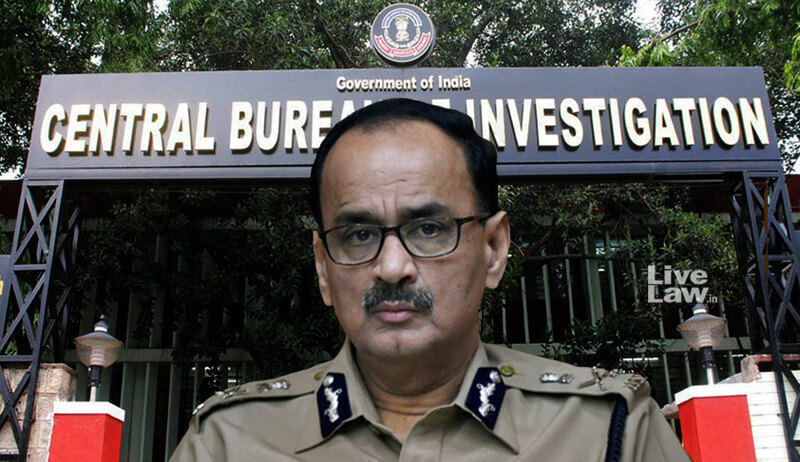 The Supreme Court has agreed to hear on Friday the petition filed by Alok Verma challenging the Central Government's decision to remove him as the Director of CBI. 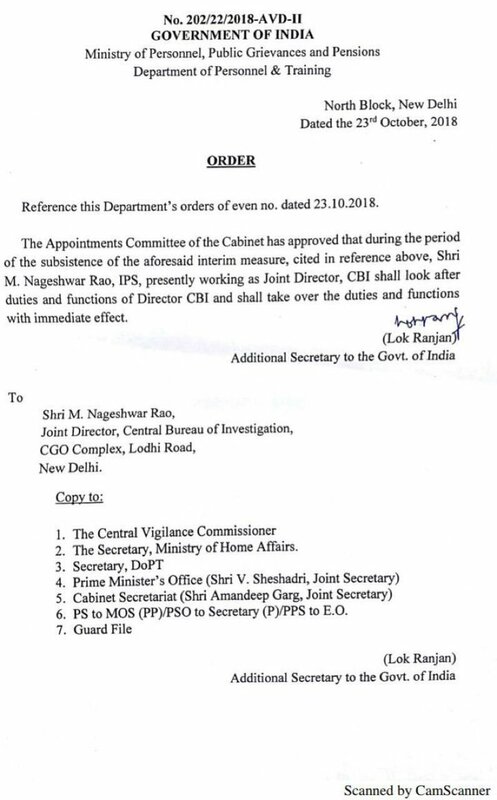 The Central Government had yesterday given the charge of CBI Director to M. Nageshwar Rao IPS, in an extra ordinary measure. The Appointments Committee of the Cabinet has appointed joint director M Nageshwar Rao as Interim Director of the investigative agency with immediate effect, said an order by the Ministry of Personnel, Public Grievances and Pensions dated 23 October 2018. Verma and Asthana have been "divested of all powers". Advocate Gopal Shankarnarayanan, mentioned Alok Verman's petition before CJI Ranjan Gogoi today morning and said the investigating officers of sensitive cases are being changed. The CJI agreed to list the case for hearing on Friday. Asthana had moved the Delhi HC yesterday against the FIR registered against him. Adjourning the matter to October 29, the High Court said that status quo should be maintained till then, and directed Asthana to preserve all electronic records in his custody. 2. The CVC, on receipt of a complaint on 24th August, 2018 containing various allegations against the senior functionaries of the CBI has served three separate notices (under section 11 of CVC Act, 2003) on 11th September, 2018 upon the Director, CBI to produce files and documents before the Commission on 14"' September, 2018. Various opportunities have been given to produce such records and after several adjournments, though CBI assured the Commission on 24th September, 2018 to furnish the records within three weeks. Despite repeated assurances and reminders, the Director, CBI failed to furnish the records / files before the Commission. The CVC has observed that Director, CBI has not been cooperating in making available records / files sought by the Commission relating to serious allegations. 5. The Government of India having carefully examined and evaluated the material made available to it, and being satisfied that an extra-ordinary and unprecedented situation has arisen which demands that Government of India shall exercise its powers under Section 4(2) of the DPSE Act. The Government of India has evaluated the material before it and in the interest of equality, fair play and principles of natural justice, decided to divest Shri Alok Kumar Verma, Director, CBI and Shri Rakesh Asthana, Spl Director, CBI of their functions, power, duty and supervisory role in any manner as Director, CBI and Spl. Director, CBI respectively. 6. This has been done as an interim measure and will subsist "till the CVC concludes its inquiry into all issues which have given rise to the present extra-ordinary and unprecedented situation and till the CVC and/or Government of India takes an appropriate decision in accordance with the law as regards to the measures to be adopted as a consequence thereof”.